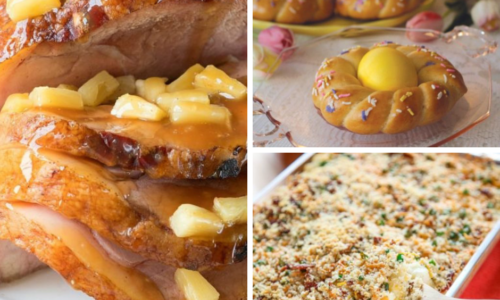 Every year I like to make a fun Halloween inspired dinner to enjoy as a family before heading out to go trick-or-treating! 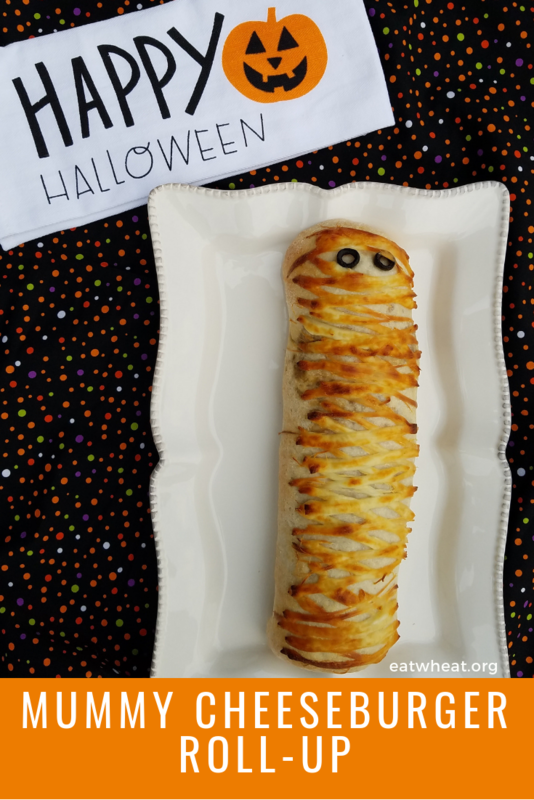 My kids love the tradition as much as they love this mummified cheeseburger roll-up! Feeding the family a wholesome dinner keeps the kids from going overboard on the candy while they are out trick-or-treating! 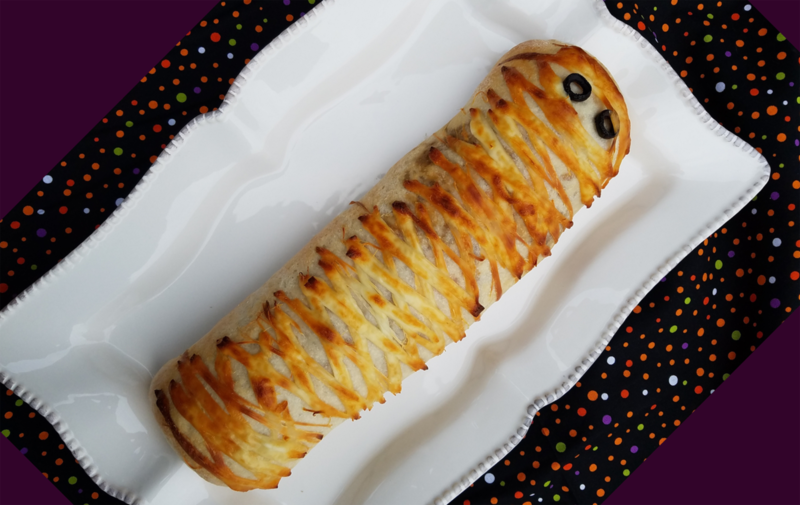 Serve this roll-up with sweet potato fries and mandarin oranges for even more orange Halloween inspired goodness! Brown ground beef with diced onion in large skillet on medium-high heat. Drain any grease. Add ketchup and mustard to ground beef. Cool meat mixture for 10 minutes. Tip: To make assembly of the roll-up go quicker, complete this step the night before or earlier in the day and refrigerate until ready to use. Unroll pizza dough onto baking sheet sprayed with cooking spray. Press into 15 x 8-inch rectangle. 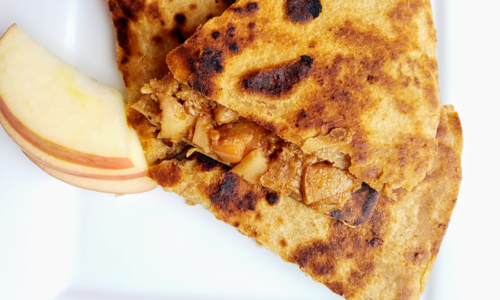 Top pizza dough with meat mixture. 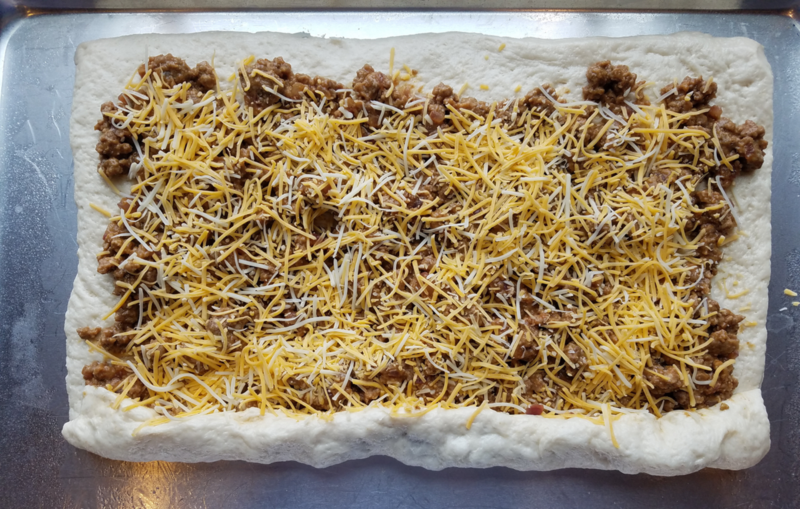 Leave a ½ inch to 1 inch border around the dough. Sprinkle meat mixture with shredded cheese. Roll up pizza dough, starting at one of the long sides. Make sure meat mixture stays inside as you roll. Rearrange roll if necessary so seam side is down. Round each of the ends. To make “mummy”, pinch a “neck” near the top of the roll. 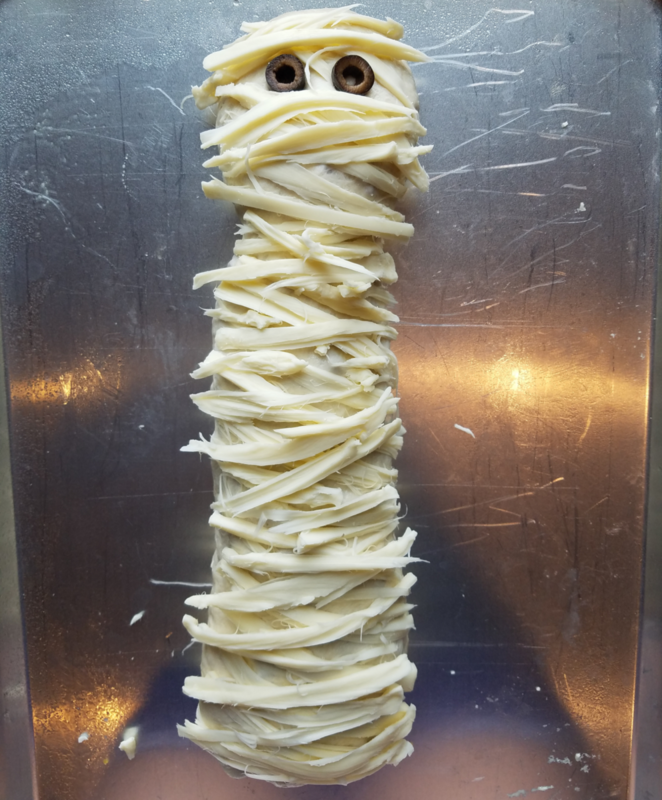 Peel cheese sticks into thin strings and arrange on roll to look like a mummy. Place two sliced olives on head to mimic eyes. Bake roll at 400°F for 20-25 minutes or until golden brown. Per Serving (1/8 roll): 347 calories, 153 calories from fat, 17g fat, 7.7 saturated fat, 56mg cholesterol, 675mg sodium, 27g total carbohydrates, 1g dietary fiber, 6g sugars, 15g protein, 160mg Potassium.